Yellowstone and Montana are close to reaching their shameful goal of killing 1,300 of America’s last wild buffalo. Nearly seven hundred buffalo have been captured this winter, with close to five hundred having already been sent to slaughter. 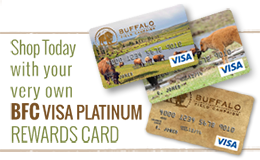 Additionally, over 400 buffalo have been shot and killed by hunters along Yellowstone’s boundaries. 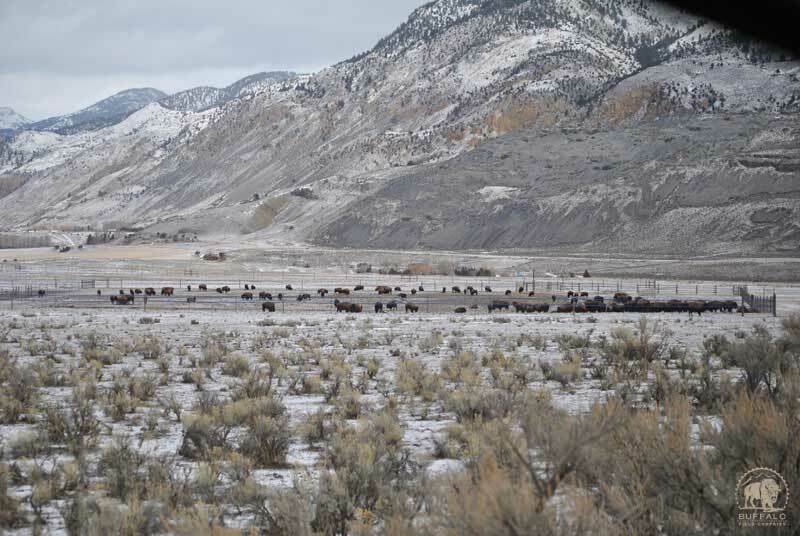 Winter will also take a heavy toll on hundreds more buffalo this year, which the responsible agencies fail to consider as they kill to placate cattle industry politics and prejudice. Yellowstone blames Montana. Montana passes the buck back to Yellowstone. Both are guilty of the crimes being committed against the beloved Yellowstone herds, our National Mammal. Neither party takes responsibility for their actions, yet they are both accountable, and they both have the power to stop the slaughter that has been taking place for far too long. 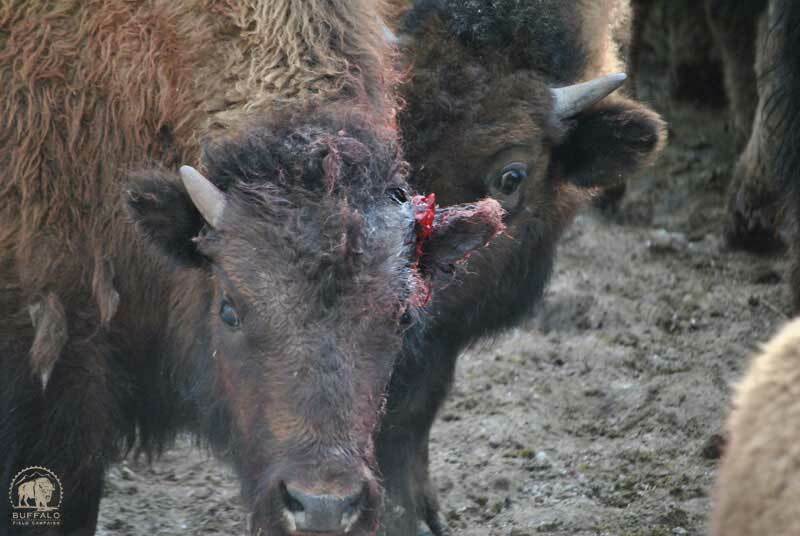 Please take immediate action by contacting Yellowstone National Park at #307-344-2002 and demand that they stand up to Montana’s livestock industry and represent the sacred buffalo who should be under their protection. Please also call Montana Governor Steve Bullock #406-444-3111 to insist that he listen to the majority of Montanans, Americans, and people around the world who support wild, migratory buffalo freely roaming outside of Yellowstone National Park. Urge him to repeal MCA 81-2-120 to end livestock control over wild bison and endorse a plan that respects wild buffalo like wild elk in Montana. Do not let them pass the buck. Yellowstone and Montana both have the power to change the status quo to benefit wild buffalo. Let’s ensure that they do this. Make the calls and join us on the front lines so that the slaughter, negligence, and disrespect come to an end once and for all. 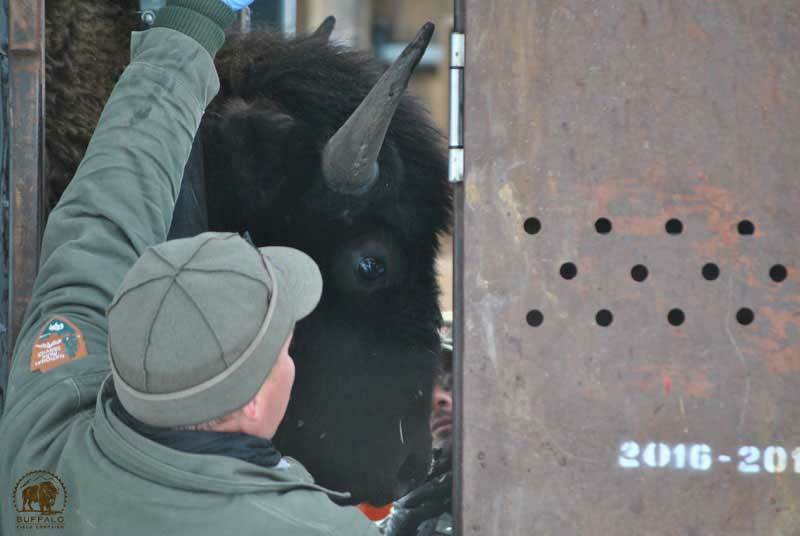 Yesterday, due to pressure from a public access law suit filed last year by the Animal Legal Defense Fund on behalf of BFC’s media coordinator, Yellowstone National Park held one of two escorted media tours of their infamous Stephens Creek buffalo trap, where this year alone nearly seven hundred wild buffalo have been captured for slaughter. BFC was present for the tour, along with one local paper, an independent photo journalist, and other bison advocates. 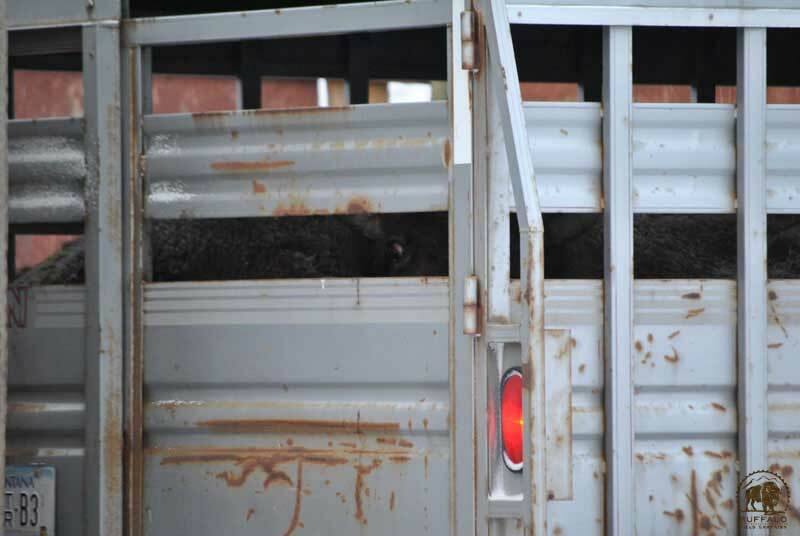 Yellowstone granted us a guarded glimpse as more than sixty buffalo were brutally run through Yellowstone’s squeeze chute and pushed into sorting pens, where they would spend the night before their fatal trip to the slaughterhouse. Yellowstone wranglers on horseback hazed buffalo from the trap’s outer catch pens into fortified wooden corrals, where they were poked and prodded with electric sticks and noisy rattles as humans yelled and forced them into tighter spaces where they would, one by one, be funneled through the “Silencer,” Yellowstone’s squeeze chute. Interestingly, the Silencer label had been covered up with paint, and is no longer visible. 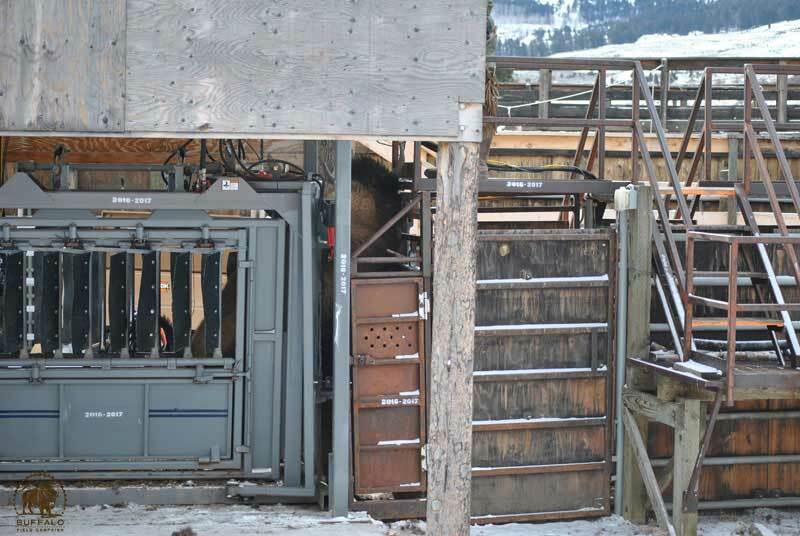 This contraption is a nightmare for wild bison. It’s where biologists draw their blood, check their teeth, and weigh them before sending them through dark corridors into sorting pens. Many buffalo are injured and all are separated from their family groups. Each time, whether documenting the hunt, hazing operations, or capture in the trap, we are overwhelmed with the feeling that we need to do more, though we know our documentation is not in vain. By bearing witness to these atrocities we are gathering evidence for countless court cases; representing wild buffalo from a place of experience in the policy arena; informing the media and other decision-makers as to the truth of bison management. Each of these things has forced changes—both subtle and profound-- on the landscape to the benefit of wild buffalo. Most importantly, we share everything we witness with you, inspiring action. For we cannot do this alone. We need you to see these things, to share them with everyone you know, to tell the story of the last wild buffalo and rise up to take real, meaningful action. These horrors must end. Each and every action against the buffalo must give rise to resistance.